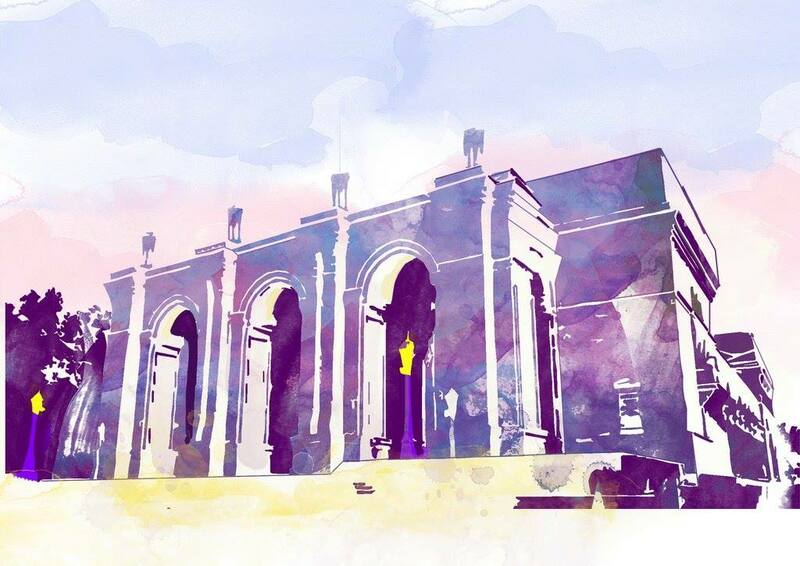 Tashkent residents are falling in love with their city again, thanks to the marvellous X-Places excursions. Tashkent is often, and undeservedly, overlooked by tourists when they visit Uzbekistan. The city's history is rich and complex. Not only was Tashkent a stop on the ancient Silk Road, it was the fourth most important city in the USSR, after Moscow, Leningrad and Kiev. And today, as the most populous Central Asian nation, as well as being resources rich, it is forging its future as a regional leader. Yet at a superficial glance, this wide-boulevarded and green city, can seem a little bland. If you speak even a little Russian (or you are prepared to engage an interpreter for half a day) joining an X-places tour will make this city come alive. 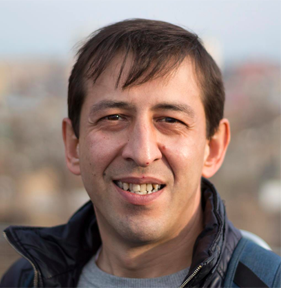 X-places is the brainchild of Samarkand-born Rustam Khusanov who adores his adopted city. The trips are often led by Tashkent's foremost historian, Boris Golender, and open up Tashkent's magical spaces and stories. No one knows this city as does Mr. Golender. Throughout his commentary, he links literature, music, town planning, history and art. It is enthralling. The excursions, usually 3 - 4 hours, are held on Saturdays and Sundays. Some are walking tours, others combine bus and walking as Tashkent is a spread out city. During this lovely afternoon the group explored the Anhor canal, in the city centre, and also the canals of the old city and suburbs. 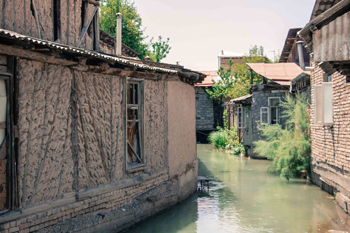 This tour revealed that life along Tashkent's canals continues much as it has for centuries - tea houses, mud brick houses, gardens and families sitting on the tapchan (raised platforms) and enjoying a meal together. Opened in 1947 and recently re-opened after an extensive renovation, the opera house is a focal point for classical performances. And this tour is the only way to peek back stage. A highlight was the light-filled 6th floor, where artists were producing the stage scenery for a new production of Aida. This charming tour centred around the book of the same title by Dina Rubina, who grew up in sun-soaked Tashkent, where representatives of different cultures and ethnicities lived side by side. We visited scenes from the book and the apartment building where she spent her teenage years. While we were on the bus, Louise Armstrong's "Sunny Side of the Street" serenaded us. This tour included the Armenian church, the Buddhist temple, the synagogue, the Catholic cathedral. It was splendid to see these neighbourhoods - all of which survived the Tashkent earthquake of 1966 - and possibly soon to be demolished. Join the X-Places Facebook group. Note that these tours, about US$5 per person, fill up very quickly. Excursions are usually posted on Thursdays. There are also occasional lectures on historical topics, such as The Great Game, which are well worth joining.